A Linux communications server with double LAN Ethernet port, providing the enabling technology for massive SMS campaigns. This device can be easily integrated in your IT infrastructure (include custom developments, aided by our Support Team), and thanks to its embedded GSM modems (16 by default) it provides an incredibly powerful communication rack, to manage distinct SMS messaging channels at the same time. To match higher requirements, the number of GSM modems installed can be increased up to 64! 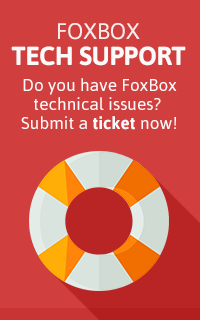 Please note that FoxBox LX800 Multi16 is a bundle solution. If you need 8 or 32 modems you should purchase a FoxBox 8Pool or an LX800 Gateway/Monitoring plus FoxBox Rack. Multi16 FoxBox LX800 is a Linux-based server acting as the enabling technology for massive SMS campaigns using commercial SIM cards. Once put in your IT infrastructure, it acts as a web server providing a powerful web interface to manage the distinct messaging channels. More generally, this device is perfectly suitable for every application that requires a fast and safe message flow management, in both the directions (incoming or outgoing) exactly like other FoxBoxes, but with at least 16 channels instead of just one.